It is common knowledge that smoking is bad for your health, however, do you know what are the worst cigarettes brands to smoke? According to the US Department of Health and Human Services, 9 out of 10 smokers start this bad habit before the age of 18, whereas 98% starts before 26. Also, when the research was taken in 2011, 19% of the US adult population were smokers. However, one of the good news is that from 1964 to 2014, the percentage of adult smokers decreased to 18% from 42%. Nowadays, when the harmful effects of cigarettes are widely known, there are many campaigns against them. Moreover, the awareness of many illnesses they can cause is on the high level. American Lung Association has announced that smoking is one of the leading causes of preventable death in the US, and that cigarettes cause over 438 000 deaths per year. Moreover, people who are not smoking but are in the presence of smokers are affected as well. Approximately around 41 000 of, so-called secondhand smokers, die per year in America. After reading this it is quite shocking to think that there are still so many people that smoke! For some, it became part of their personality, for other hedonistic practice, whereas others want to stop, but just cannot do it that easily. No matter in which group you think you belong, before you get ready to quit this habit completely, we advise you to read about Healthiest Cigarettes With The Least Chemicals. We also wanted to find out the other side of the spectrum – cigarette brands that are the worst to smoke. So, here is what we did. We gathered the information from many sources such as Cig Reviews, Reddit, Psych Central and Democratic Underground, to name several. Then we singled out seven most frequently repeated cigarette brands that were mentioned as the worst ones. In addition, we ranked them in accordance to the number of their mentioning, going from the least number of mentioning to the top one. 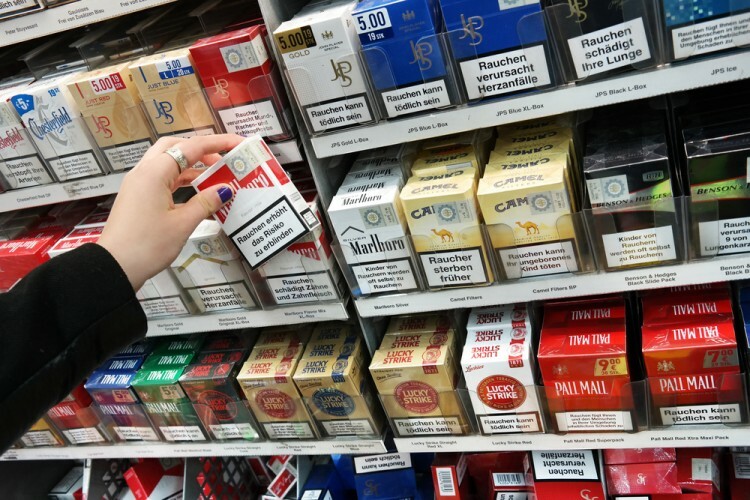 The prices, which for some are included in the text, are for one carton of cigarettes and are previously checked on Kiwi Cigs. Let’s find out what are the worst cigarettes brands to smoke!